Kate Adamson qualified from Coventry University in 2008 with a BSc (HONS) Degree in Physiotherapy. She has spent 10 years working as a Musculoskeletal Physiotherapist within the NHS and Private Practice. Kate has a great passion surrounding Core Stability and the importance of it within Physiotherapy. 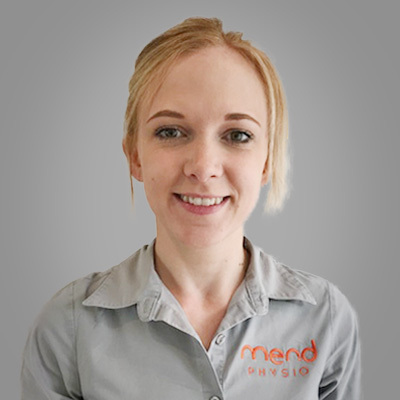 She has trained extensively in clinical Pilates and has run her own successful Pilates business she now brings her passion for precision and excellence to her work at Mend. She is our go-to for all matters of Core Stability! Kate gave birth to her first baby in April 2017 and was lucky enough to know how to get herself back into shape using the specialist knowledge that she has within the Pilates field. She wants to help other Mums achieve their goals and regain the strength back that they deserve through the Mummy Tummy Program that we run at Mend Physio. As a keen gym member herself and keeping on track with her own personal fitness, Kate brings this enthusiasm into her work as a Physiotherapist. The key to her success as a Physiotherapist is to allow for the integration of hands-on manual therapy with the inclusion of precise individualised self-management programmes and advice.